Barcelona: Javier Mascherano's weight in the Barcelona team is measured by much more than his goals — or lack of. players are as important to the Spanish champions. Having already proved his flexibility over the years, the 32-year-old Mascherano is now learning another position. Mascherano is defying his age and increasing his worth in a team whose intricate passing style is incredibly demanding on players. The Argentina international has become coach Luis Enrique's fix-it man. Already able to play either in midfield or as a central defender, Mascherano has now passed the test as Barcelona's right back. 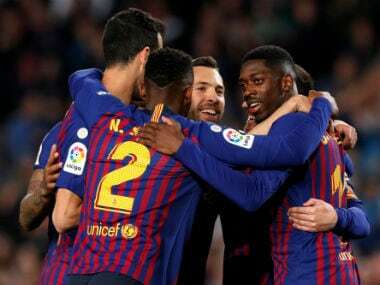 He has filled in expertly for the injured Sergi Roberto, both as the right-sided defender in a back line of three, or in the four-man defense Luis Enrique used to thwart Manchester City on Wednesday in the Champions League. 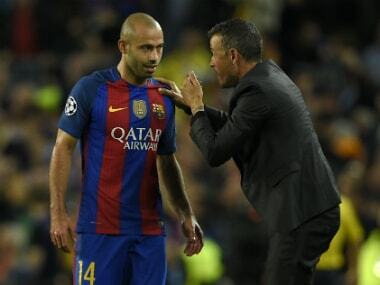 Enrique said on Friday that Mascherano may play on the flank for Saturday's visit to Valencia in the Spanish league. 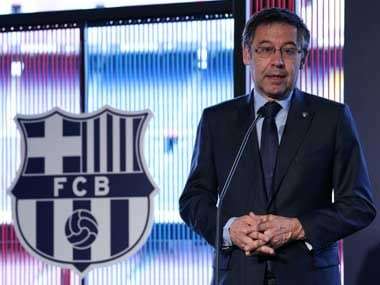 "The option of Mascherano is open," said Enrique, who rarely reveals his lineups before the match. "He played a good match against City and he is one of the possibilities that I have for this and other matches." be without the injured Gerard Pique and Jordi Alba. 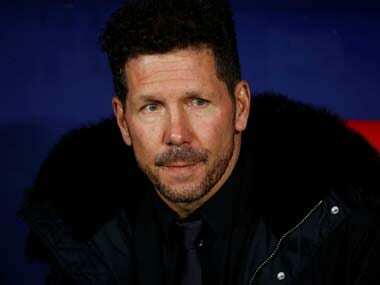 Against City, he nullified winger Manuel "Nolito" Agudo and also set up Barcelona's opening goal. 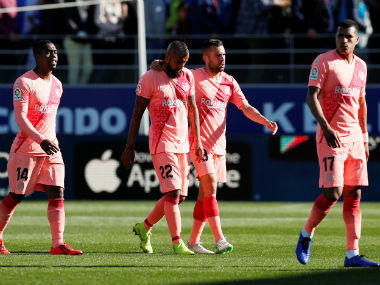 Stealing possession in City's half he sprang a quick attack that resulted in Lionel Messi's first of three goals in a humbling 4-0 loss for former Barcelona coach Pep Guardiola. Mascherano's value is his versatility and willingness to sacrifice in a team full of incredibly talented individuals such as like Messi, Neymar, Luis Suarez and Andres Iniesta.